Quite frankly, it’s hard to comprehend that some people can’t understand simple facts. Even after hearing the facts many times, not everyone gets it. I think there is a blindness we have to simple facts. “Aw, it can’t be that simple!” And no, I am not talking about politics. I am talking about cardiovascular disease and the means to prevent, mitigate and reverse the course of heart disease, even if you feel that your genetics put you in elevated risk pool. However, because I believe that most people are willing to be open-minded, I think you can benefit from what I am about to say. 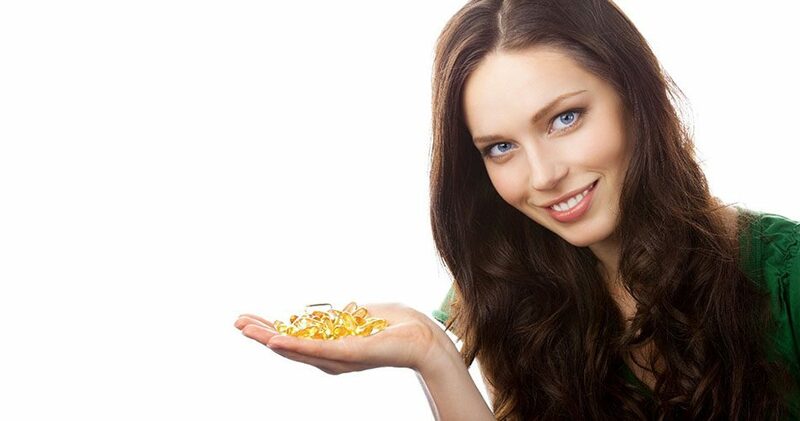 Certainly, True Omega-3 is the perfect example of the old adage, “You get what you pay for.” It’s a simple fact. For example, you get a truly impressive range of benefits, all designed to enhance your health & wellbeing. Is there really ANYTHING more important? I saw Denzel Washington last night on TV. He was promoting his kids outreach and he said and I quote: “You never see a U-Haul trailer behind a hearse!” Which is a clever way to say, “You can’t take it with you.” So do good now, while you can. By dosing twice a day, morning and evening, you are operating in a synergistic way for your system to eliminate or decrease the need for statin pharmaceuticals. Statins are invasive to the liver and not natural or organic. It’s much more natural and holistic to absorb healthy anti-inflammatory essential fatty acids, than to use a synthetic drug, like statins. Contrary to popular belief, cholesterol is not nearly as important a factor to heart disease as is inflammation. Don’t attack cholesterol, that your body needs. But instead mitigate too much inflammation in the system. True Omega-3 is a natural anti-inflammatory. All unwholesome fats are pro-inflammatory. The other healthy fats are contained in olive oil, avacado and in some cases coconut oil. Lower blood pressure. High blood pressure or HBP is the major precursor to stroke and possible aneurysms. Reduce triglycerides. Triglycerides is another type of fat that can permeate the bloodstream generally caused by too much sugar in the diet. Along with cutting sugar in the diet, omega-3s helps to reduce triglycerides. My own personal story: My triglycerides were reduced by 60% in the space of 90 days by taking 3 capsules in the morning and 3 capsules in the evening. Twelve years later I am still relying on True Omega-3 to keep my triglycerides at a healthy level. Slow down the development of plaque in the arteries. Researchers have found that consumption of fish oil can improve blood flow. This is essential because if blood can not flow through your body, your tissues and organs may not receive sufficient amounts of oxygen and nutrients and may not perform correctly. The obstruction of blood vessels can lead to heart disease such as coronary artery disease. For folks with coronary artery disease, omega-3 fatty acids may decrease the risk of further heart problems. Blood flow can also be minimized by the accumulation of plaque in your arteries. Plaque makes your arteries narrow. Fish oils have been shown to decrease the growth of these plaques by protecting against the buildup of cholesterol in the arteries. Damage to blood vessels and the heart can stimulate the immune system. Omega-3 fatty acids have been shown to interfere with the inflammatory response and act as anti-inflammatory agents. Eating a well balanced diet with omega-3 fatty acids can ensure immune function and help keep you healthy and resilient. All too often, the very first sign of hidden cardiovascular disease is the last: abrupt cardiac death. Many of these deaths are caused by irregular heart rhythms, or arrhythmias. Arrhythmias— some harmless, some dangerous– affect nearly 10 million Americans. While conventional medical treatments focus on invasive implantable devices and medications that carry serious side effects, convincing evidence shows that you can prepare yourself against dangerous heart rhythm disorders by optimizing your omega-3 fatty acid intake. Reduce the chance of sudden cardiac death in men and women with heart disease: Once a patron called in to order 6 bottles of True Omega-3. In our chit chat during the call, I reminded him that this is a great product to prevent heart attack. He responded, “Oh but I did have a heart attack last year. I thought the Omega-3s were useless and asked my cardiologist if I should stop taking them. He said, “You better keep taking them. It’s the only reason you survived the heart attack. Had you not been taken them, you would not have survived. Improve wellbeing. This is an important point. It’s not just in aid of your heart health but also improves over wellbeing, including brain health and function, behavior and mood, rejuvenation, performance and even your vision! Amazing! 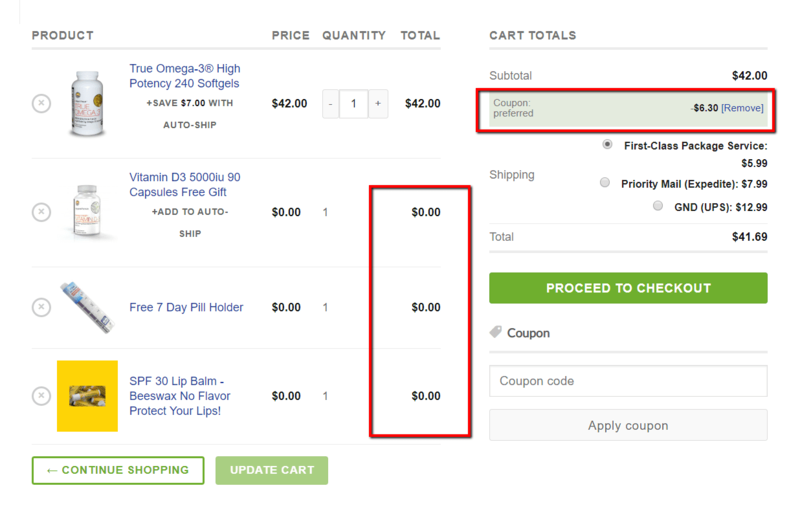 Why not set up a preferred customer account with recurring autoship in order to be sure you have your True Omega-3 on hand without having to reorder. Of course you can modify, or cancel at anytime of the day or night. All you have to do is click this link and please remember to use coupon code PREFERRED to get the lowest price possible on your order. Click here to add the coupon with 3 free gifts! Over $24 in free value. P.S.Omega-3 fatty acids are essential and vital to overall wellbeing. Omega-3 touches every cell in the body. The body cannot produce these essential fatty acids. There is no means for the body to produce this effect on its own. A person can only obtain them from either food sources or supplementation. Essential fatty acids are found in wild oily fish such as Salmon, Mackerel, Anchovies and Sardines. In order to obtain sufficient amounts of Omega-3, at least one serving of fish per day is required. The source is important. Farm raised fish have little benefit in supplying Omega-3 Supplementing with True Omega 3 provides the body with sufficient levels of EPA / DHA. Dosing can consiste of one, two or three capsules twice a day. It depends on your health, age and risk factors. I can help you determine the appropriate dose with a simple toll free phone call to 877-572-3444.
free 7 Day Pill Case approved by the Arthritis Association for ease of use. This entry was posted in Brain Health, Coupons, Fish Oil, Heart Health and tagged fish oil, heart disease, high potency, omega-3, super high potency.